Space Marine — the upcoming action game set in the world of Warhammer 40,000 — has a taste for a bit of the old ultra-violence if these new screens are anything to go by. I mean, there's blood. There's shooting things in the face. There's more blood. There's a chainsword in the guts. There's even a pile of Ork arms lying on the ground in that last one. 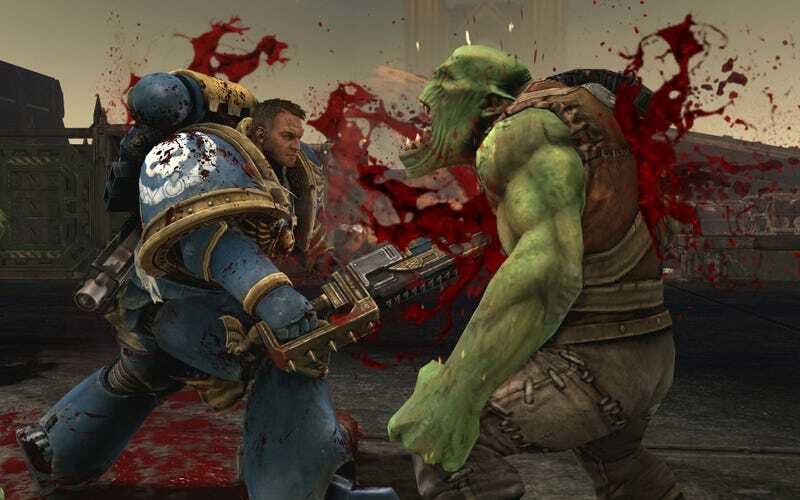 Not a game for the squeamish, then, but a Warhammer 40K shouldn't have it any other way. Space Marine will be out in Summer 2011 for the PS3, Xbox 360 and PC.